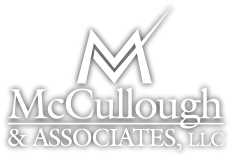 McCullough and Associates, LLC was founded with the goal of assisting our clients in every aspect of their financial lives. For each of our clients we strive to help create financial stability and security to provide financial independence. Our customized solutions are designed to help our clients improve their long-term financial success while delivering an unprecedented level of personalized service. We encourage you to explore our site and learn more about the services we provide. Should you have any questions or would like more information on our firm, please feel free to email us or call us at (417) 883-1212. We look forward to hearing from you.